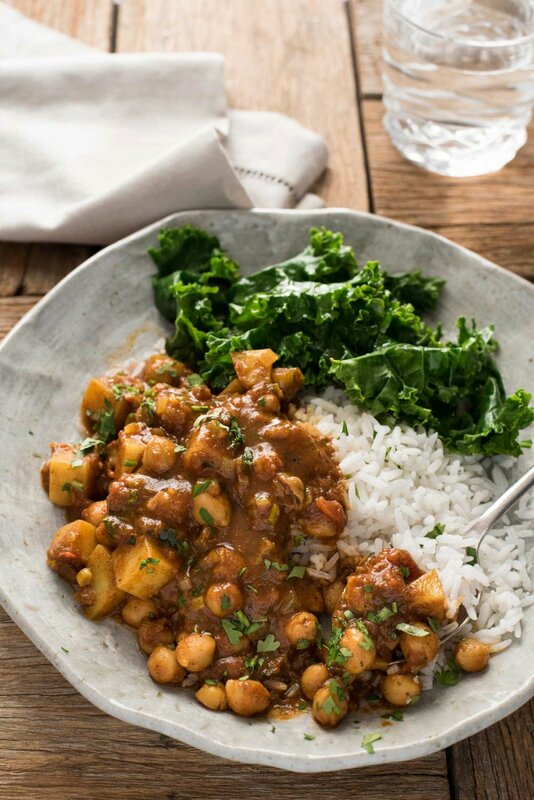 Successfully saved Easy Chickpea & Potato Curry (Chana Aloo Curry) to your Calendar. You can also save the ingredients to your Grocery List. A Caribbean curry from Trinidad that tastes very similar to tomato based Indian vegetable curries. This curry has incredible flavour, and is one of the easiest real curries because you won't need to trek to the speciality store for the spices, you can get everything from the supermarket. This recipe is slightly modified from the Curry Channa and Aloo recipe from Immaculate Bites, a fantastic African/Caribbean food site.